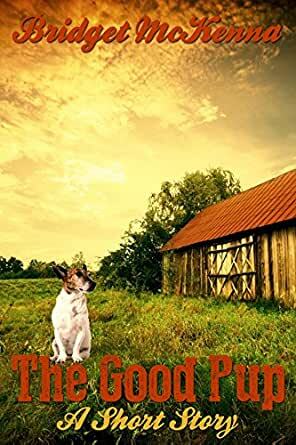 A summer rainstorm, a speeding car, and all that’s left for Romer Wills and his family is to build a coffin and hold a funeral for their beloved Pup so the children can feel they’ve done the proper thing. And that would be that, but three nights later something scratches at the door. Pup has come back from the dead, and with him have come happiness and rejoicing, trouble and sorrow, miracles and dark deeds. The Good Pup was a finalist for the Hugo and Nebula Awards for Short Story. It originally appeared in The Magazine of Fantasy & Science Fiction, edited by Kristine Kathryn Rusch, in March 1993. This story sat on my Kindle for a few months, like many other stories, until I could no longer recall what had enticed me to buy it. I chose to read it tonight because it was a short story and I had the time. Written in a congenial "good ol' boy" conversational tone, it was like having a conversation with a good friend. The story dives right into the action and the main character, "Pup", - well, I won't spoil it - but let me say that 25% into the story there is an OH MY GOD moment, and the story takes a completely unexpected turn. Laced with wry humor, there are parts in this story where I laughed out loud at some of the human characters' statements, and there are also plot events that left me so emotional, it was hard to remember that this was just a short story. I highly recommend this story. It will put a smile on your face, and provide you with tug-at-your-heart moments as well as a very startling ending.